Specifically designed for heavy training athletes and hard gainers! Heavy training athletes and individuals that experience difficulty gaining weight or packing on massive muscle need the power of BODYBUILDER. This revolutionary muscle food takes specialized growth nutrition to a new dimension. 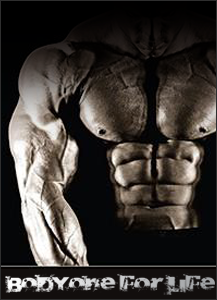 BODYBUILDER contains a combination of macro and micro nutrients, in calibrated dosages that increase energy levels, promote lean muscle mass development accelerate recovery, reduce muscle soreness, and enhance immune system function. This metabolically efficient anabolic food is specifically designed for heavy training athletes and hard gainers. BODYBUILDER contains an exclusive proprietary complex of specialized anabolic protein providing di, tri and polypeptides. This extremely high quality protein concentrate is utilized for its high nitrogen, branched chain amino acid content, bio-availability, and absorption rate optimizing anabolic protein utilization. The exclusive long chain and short chain carbohydrate matrix drives the intracellular anabolic response maximizing cellular nutrient uptake and nitrogen delivery to influence cellular growth and accelerate recovery. Increase your anabolic caloric intake with this metabolically efficient muscle food to maximize your growth potential. BODYBUILDER proprietary protein [partially fractionated enzymatically hydrolyzed cold processed ion-exchanged whey protein (containing dipeptide, tripeptide, oligopeptide and polypeptide short and long chain amino acid protein fractions)], Glycogain™ (long chain glycopolysaccarides, short chain fructose), Natural and Artificial flavours.